Dr. Monjur Chowdhury is a socio-economic researcher and a strategic developer with a passion for implementing a quality educational model that would serve underprivileged school-aged children all over the world. He has more than 20 years of experiences in managing cross-functional and cross-cultural teams. Monjur has been successful in building strategic partnerships and global networks for internationalization of quality education and research in technology. He is the principal architect and founding director of AlivEducation & Consulting Co-operative- a new way to learn and teach. He also teaches elementary to high schools with Ottawa Catholic School Board in Ottawa, Canada. Dr. Chowdhury did his Major in the field of electrical engineering. He obtained his Bachelor, Master and Ph.D. degrees in Electrical Engineering, specializing in electrical power systems with a special emphasis in Renewable Energy, from Moscow Power Engineering Institute, Russia. He also obtained his Bachelor of Education (B.Ed.) from Queen’s University in Canada and Teaching certificate from Ontario College of Teachers. Dr. Chowdhury worked as a Research Fellow at the School of Information Technology & Engineering of the University of Ottawa. He was a member of the team under the supervision of internationally renowned Control Engineering specialist Prof. N.U. Ahmed. Monjur’s contribution to this effort is the development of mathematical models related to optimal control of energy resources. His recent publication under the name “Optimum Policy for Integration of Renewable Energy Sources into the Electrical Power Generation Systems” has been published in the Journal of Energy Economics. His personal goal is to implement the model for socio-economic advancement leading to universal benefit. 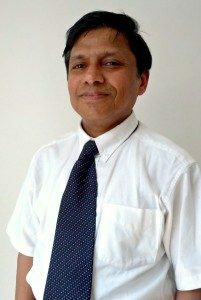 In October 2010, Dr. Chowdhury was appointed as the Principal of Mornington College of Business (MCB) an affiliated post-secondary career college in Bangladesh- based in London, England. Dr. Chowdhury has extensive experience in delivering speeches and presentations for diverse audiences. Writing academic papers and articles for international journals and conferences is one of his much strength. Experience from living and working in different countries allows him enjoy dedicating his time in multi-cultural & multi-linguistic environment. He is capable of both oral & written communication in English, Bengali, Russian and French. We design innovative academic coaching in Math, English, French and Sciences for students from Grade 1 to 12. Vision of Pro-active Education for All Children’s Enrichment (PEACE) is to create a dynamic, and educational friendly society through an all inclusive learning process.